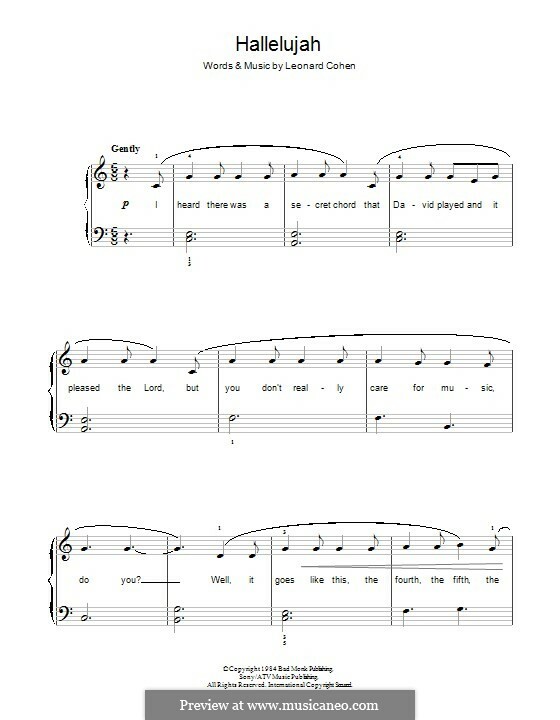 Leonard Cohen’s signature song, “Hallelujah” appeared back in 1984 and has been re-written many times since then until it reached the peak of its popularity: only the lyrics exist in 80 (!) different versions. Now on Rolling Stone’s list of the 500 ‘Greatest’, it has over 300 official covers while the number of unofficial versions keeps growing and is only to be guessed. 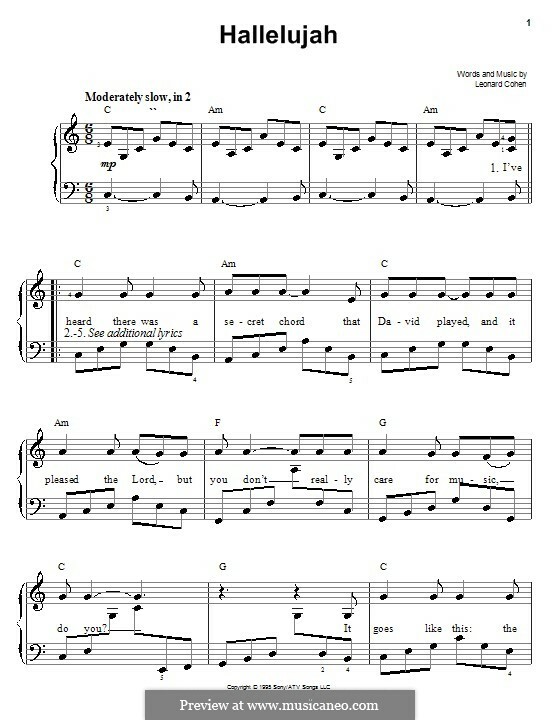 Due to the many sheet music versions in our catalogue, we decided to split the sheet music into two pages: one solely for piano arrangements and the other – for other instruments and choral versions. 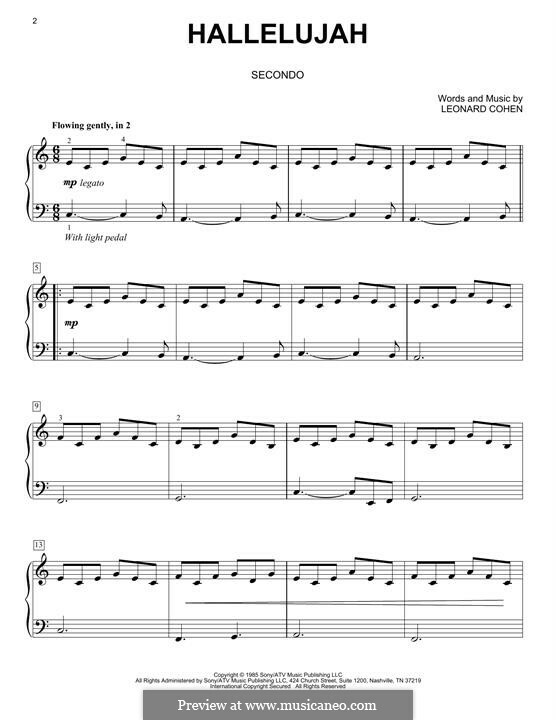 On this page, you will find a variety of instrumental piano covers of Cohen’s hit, from elementary and very easy to advanced. 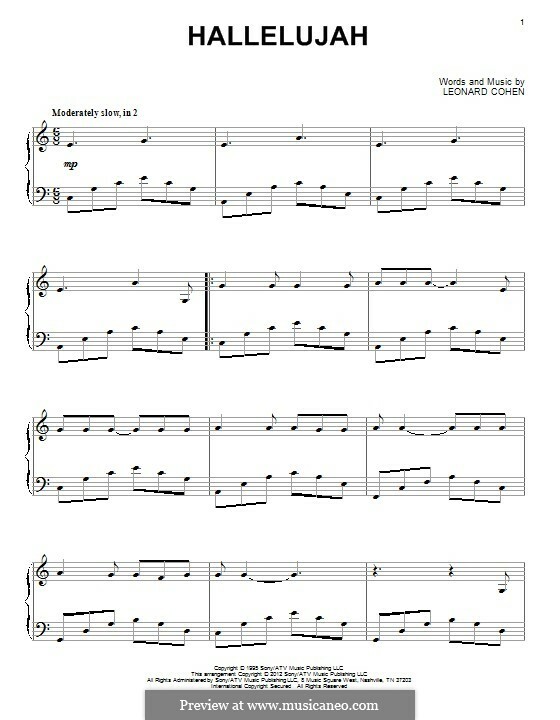 All music scores can be printed out instantly. 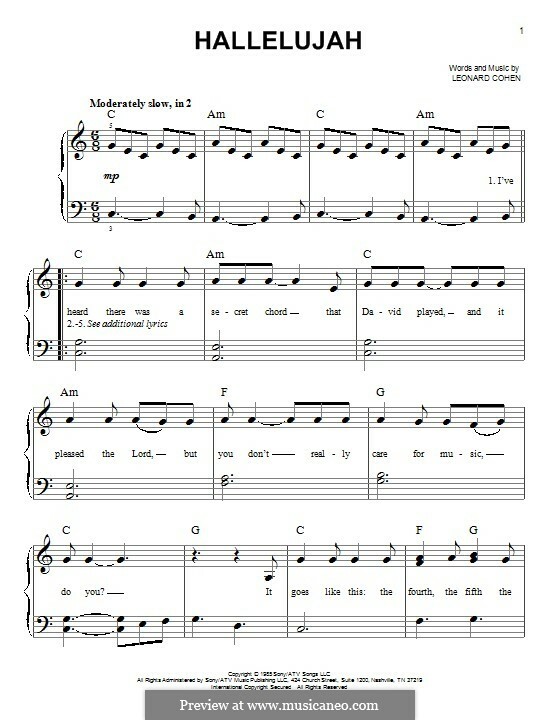 Taking into account the fact that the lyrics of “Hallelujah” cannot be attributed to a spiritual context, many pianists use it as an instrumental solo at the church services, or together with the religious lyrics version of the song. If you are interested in playing the song on other instruments, please use our search field above to find the Hallelujah you need. Always a great pleasure to play Hallelujah! Looking for new interesting arrangement whenever I can, and I'm I got a few from here. Easy piano but with a thorough emotion and deep harmonies, love it. Thanks! 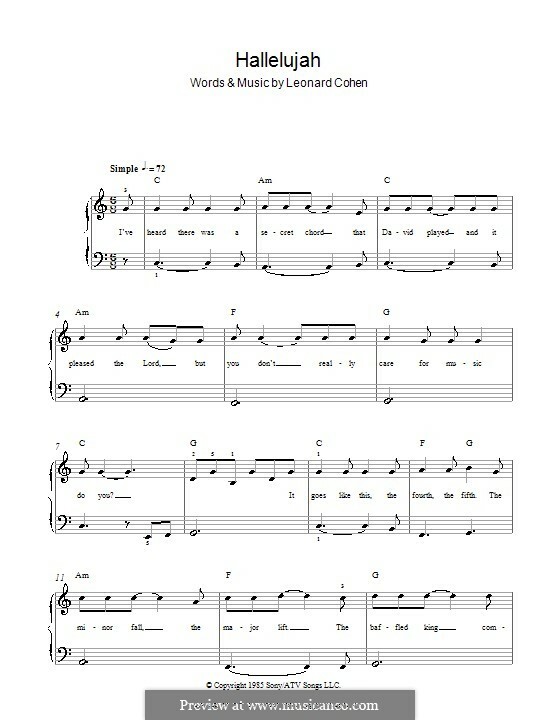 I actually believe piano is the most impressive instrument for playing Cohen's Hallelujah! No other musical tool can provide such a rich sounding necessary for this legendary composition (yes, I tried it on a classical guitar and on a cello myself). I'm glad you have such a huge variety of solo piano arrangements here in one place, makes the choice faster. 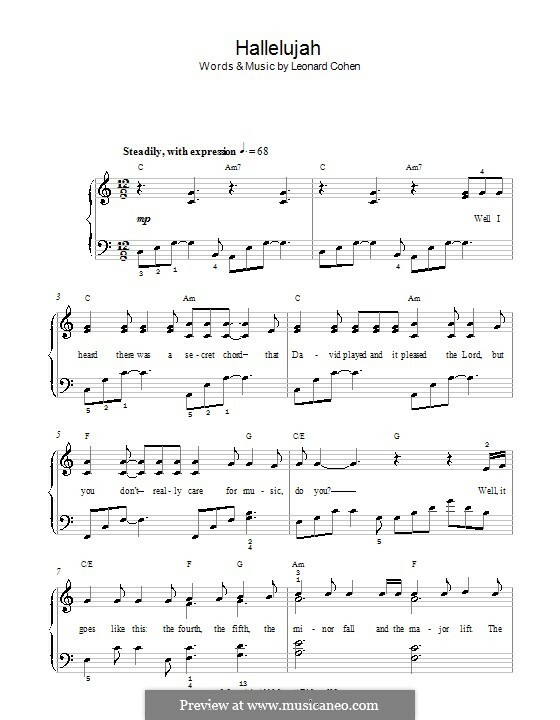 My big desire is to make my own version of Hallelujah even though it's gonna be one of the thousands of covers that have already been written. I do think it is a special composition in the history of music and that every personal vision of it counts.. 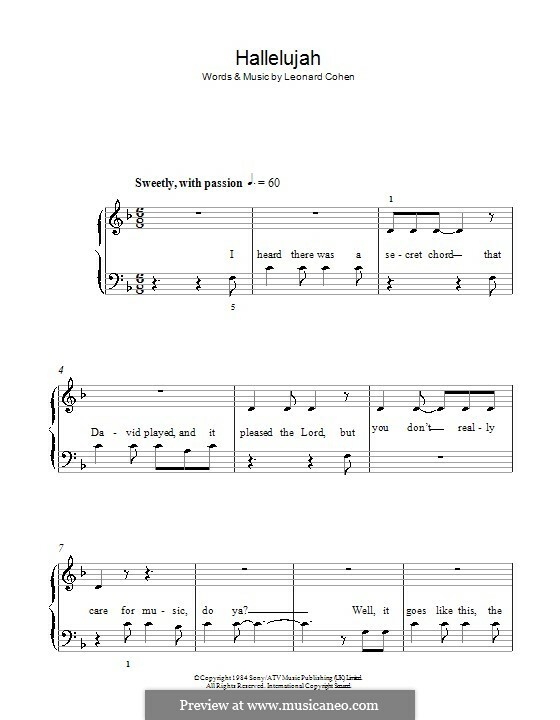 Version for easy piano Arranged by Miller C.
For a single performer Arranged by Kern F.
For a single performer Arranged by Keveren P.